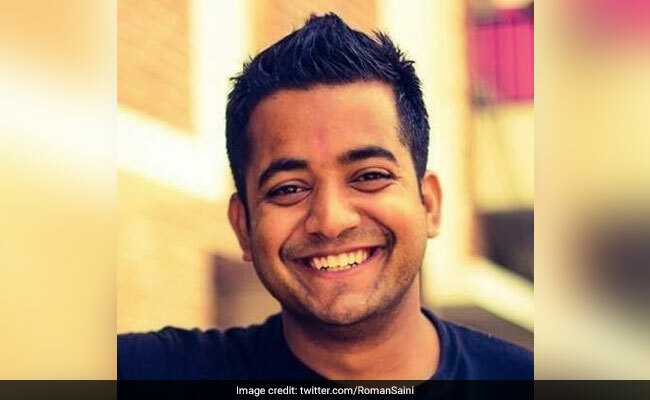 Roman Saini cleared UPSC Civil Services, which is considered to be one of the toughest examinations in the world and has an acceptance ratio of less than 0.01%, at the age of 22. New Delhi: What is it that makes Roman Saini special? In his own words, nothing. He says he is just like anyone else and yet his achievements stand him apart from everyone. He cleared UPSC Civil Services, which is considered to be one of the toughest examinations in the world and has an acceptance ratio of less than 0.01%, at the age of 22. That's not his only achievement. He cleared AIIMS entrance examination at the age of 16 and went to publish a research paper in a reputed medical journal before the age of 18. After completing his MBBS, he worked as a Junior Resident at NDDTC in Psychiatry but resigned within six months after he cleared UPSC Civil Services in 2014. He was the youngest IAS and was appointed as a collector in Madhya Pradesh. Roman Saini, however, resigned and began his own entrepreneurial venture - Unacademy. Unacademy is a website which provides free online coaching, webinars, tutorials and motivational speeches for IAS aspirants. He believes that no one is a born genius and everyone has the knowledge, talent and caliber to achieve whatever they want in life. What one needs is the get over the fear to go against what their parents or society wants, to get over the fear of pushing their limits. He says that in order to succeed the first thing you need is to learn how to learn. Before taking up a challenge, you need to train for the challenge. 1. Risk friendly - One needs to abandon their safety net. Seduction of safety, he says, is more perilous than dangers of risk. But while taking risks, he adds, one should take calculated risk. 2. Luck - Luck plays an important part but it is just random distribution. You are lucky to be born in this era where you can access knowledge in any discipline and stream just by a click on a computer. So you have to work hard to justify it. 3. Competence vs. confidence - He says that he is often asked questions about the importance of confidence while appearing in an exam and in general. He says, fear will never go away even if you have prepared for an exam for 50 years. Confidence is not the key, competence is the key. Confidence is a momentary kind of thing. If you do something for 1000 hours, you will be better than 95% people. He also believes in logic and rationality and says that one should always have a rationale outlook. 4. Stop - Stop complaining, stop arguing with others specially with irrational people because they will bring you down to their own level and then beat you with their experience. He also says that stop asking yourself what you want to do with the rest of your life. 5. Roman's rituals - Roman's rituals is not his personal set of rituals but a set of rituals followed by Roman soldiers. This includes eat healthy, exercise, sleep (7 to 9 hours), do not drink and smoke as that slowly deteriorates your cognitive powers. 6. Delayed gratification - Delayed gratification is a psychological concept. This simply applied means that if you delay the gratification of immediate results, you will end up gaining more. 7. Be decisive - Take decision for yourself or someone else will. There will always be factors which will act as hurdles in your decision making process, and that's the point. You have to take decision in an indecisive environment.